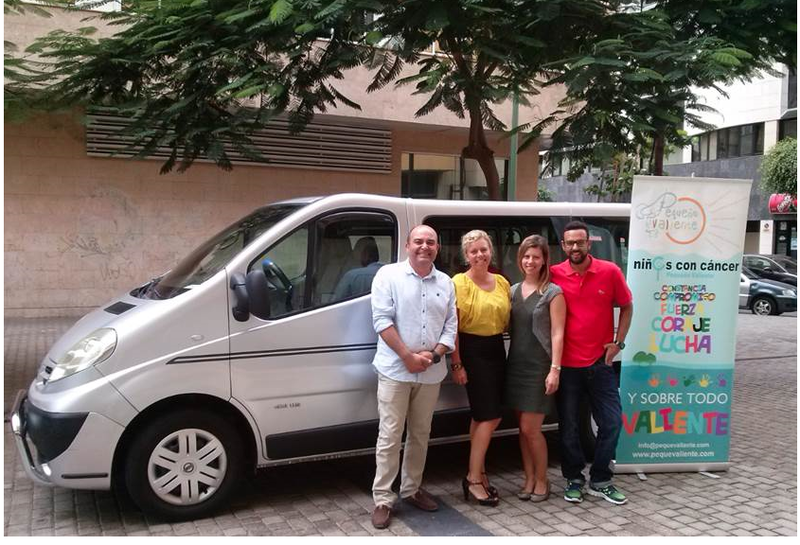 The Las Palmas office recently raised €9,000 (approximately US$13,000) for Pequeño Valiente, a local children’s cancer foundation, by selling employees’ used furniture. The money was used to purchase a van to bring children to and from their hospital stay. It will also bring therapists directly to children’s homes to make treatment more comfortable. Las Palmas has been supporting the charity since 2012 with regular donations of iPads, toys, DVDs and radios that the children can use while they are in the hospital. “Thank you, Kinross. The vehicle will help us support families going through difficult times and will make their lives a lot easier,” said José Juan Jerez Castro, President of Pequeño Valiente.